Bassim has provided accounting, business advisory and tax services to dentists, business entities and individuals since 1997. During that time, he has provided high quality, personalized service to a wide variety of clients, ranging from individuals to small and mid-size companies in a variety of diverse industries including service, real estate, construction, retail, health care, and manufacturing. Bassim's background in both public and private accounting gives him a unique perspective into the financial, tax and business needs of dentists. Bassim is licensed as a Certified Public Accountant in California and Nevada. He earned his Bachelor of Arts degree from Fresno Pacific University and also holds an MS in Taxation degree from Golden Gate University. Prior to starting his own CPA firm in 2003, he worked for a local CPA firm in Fresno, California. He also worked as a financial analyst for Longs Drug Stores. 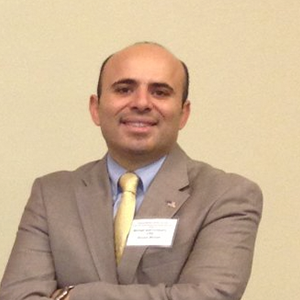 Bassim has taught at Fresno Pacific University's undergraduate and graduate Leadership program for over four years. The course offerings he has taught include accounting to non-business majors and Financial Analysis and Decision Making.